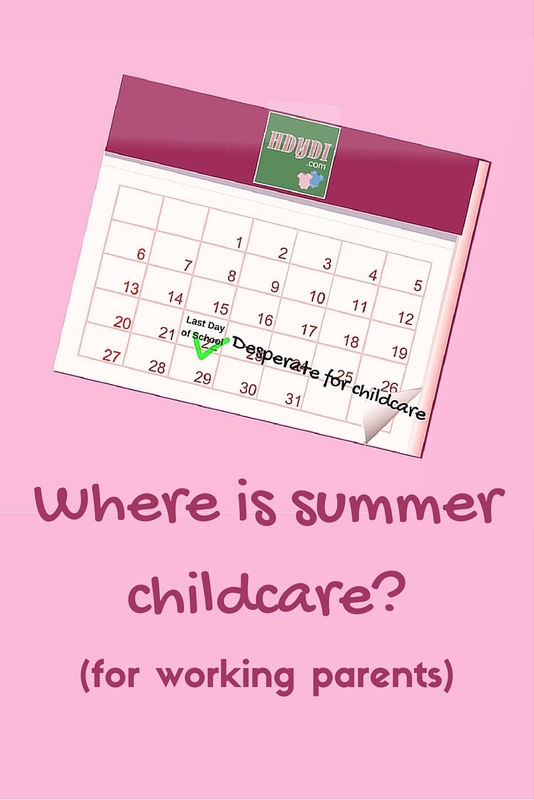 Childcare Archives | How Do You Do It? Like most people with full time jobs, my work hours remain the same during the summer when school is out. Like the other 12 million single parents in the US, finding childcare for my children falls solely to me. Technically, the girls’ father has summer visitation privileges, but I need to have a plan in case he doesn’t show up. I also have to choose between missing registration deadlines or forfeiting deposit payments if he does decide to spend time with the children. Given the enormous variety of summer camps available here in suburban Texas, you might assume that the only challenge for summer childcare for my elementary school children is our custody situation. You’d be very, very wrong. Most day camps sold as “full day” camps run from 9 am to 3:30 or 4 pm. After-school childcare programs suspend for the summer, so those of us who work fairly typical hours (8 am to 5 pm in the US, plus commute time) are out of luck. 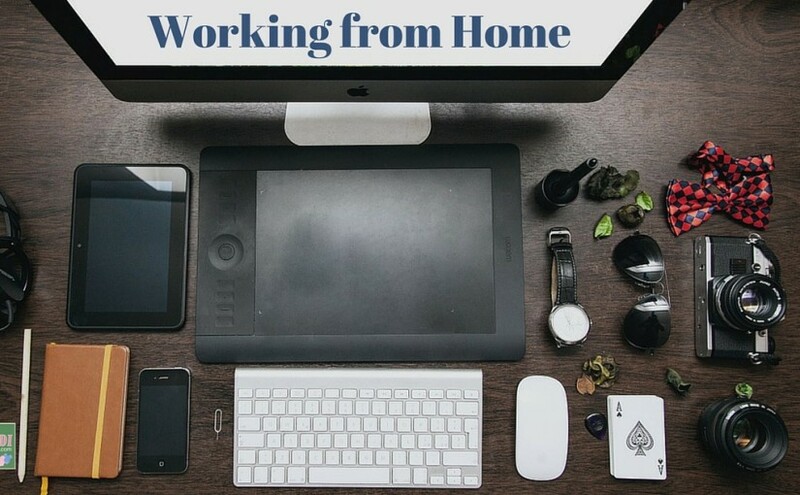 Some companies, including mine, can accommodates shorter hours in the office to allow us to work from home to make up the balance. However, that’s not an ideal solution, either. When I’m home with my children, I want to be actively with them, not simply physically present but mentally at work. My daughters aren’t huge outdoors kids, so shooing them out into the Texas heat to play only buys me a few hours per week. Ever year, starting in March, all the working moms I know begin our summer care hand wringing. It never gets better, though. Given that stay-at-home motherhood is no longer the only norm in our society, I really don’t understand why we haven’t come up with better solutions. Year round school would work. Full day summer camps would be great if their hours mirrored daycare programs for infants and toddlers. After camp care, similar to after school care, including transportation where necessary, would be enormously helpful. I must acknowledge that most of these options don’t account for how out of reach summer camp costs are for many single parents, often around $150-200 per child per week, more for extended care. I know. This is quite a bit less than infant care, but it’s still a major stressor for families. I know of kids my daughters’ age, 10 years old, who have been staying home along during the summer for years. While that may have worked in past generations, when free range parenting was just called “life”, it not a sustainable way to keep kids out of trouble in 2016. I’m very thankful that we have a full day gymnastics camp only 15 miles out of our way that always makes room for my girls. My boss is open to my leaving an hour early every day to pick the kids up before they close. Neither of my daughters does gymnastics during the school year, but they enjoy the program for the summer. In all honesty, they’d rather attend others, but I can’t meet registration deadlines because of visitation challenges. In a pinch, teacher friends will watch my girls, but I can’t expect that for the 10 weeks school is out. Any great ideas for fixing our summer childcare culture? Like most parents-to-be my husband and I envisioned what our life would be like after the arrival of our fraternal little bundles of joy with keen optimism. We decided that our version of parenthood would involve a budget that would always include a babysitter fund. We were happy to accept hand-me-down clothing, take more local vacations and make other financial sacrifices as a trade for some more time to ourselves as a couple. A month before Molly and Jack’s c-scheduled arrival we opened up an account with a nanny site and posted an advertisement for a handful of regular babysitters. I wanted a sitter who would be available during the day from time-to-time so I would be able to get a break or a nap when my husband was at work and another sitter or two who would be available for our evening date nights. The well-thought out plan allowed us time to receive resumes, review them together towards the end of my pregnancy/ first few days of the twins’ lives, schedule phone and face-to-face interviews and then test out our sitters while we went out to a restaurant walking distance from our house, so we were nearby. A few days after our new family returned from the hospital my husbands’ grandmother’s health took a turn for the worse. He received a call from his father urging him to head to the hospital immediately at around 2:45AM, while we were finishing up a middle of the night feeding of Molly and Jack. Chris drove to the hospital while I put the kids back to bed and waited for his call. He returned home, just after breakfast and the family had already begun to make funeral arrangements. Molly and Jack were barely a week old and we both knew that it would be difficult to manage their care at a visitation and a funeral. We hadn’t even called the babysitters who had applied to care for Molly and Jack and over half of our family would be attending the funeral. 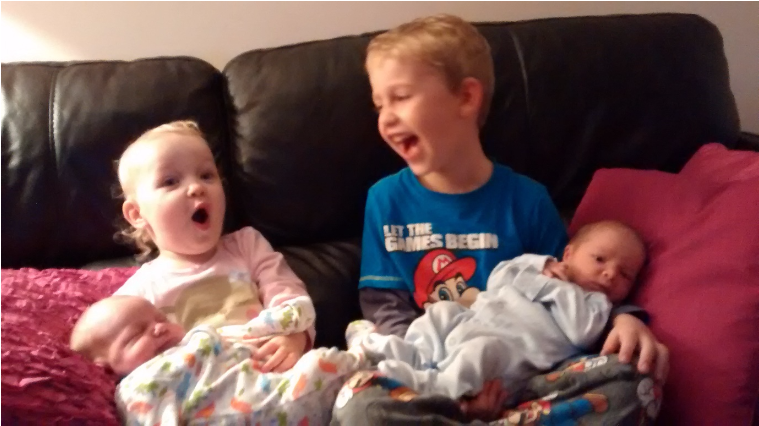 On the night of the visitation, less than two weeks after their birth, we separated from our newborns for the very first time, under the charge of my best friend and my brother. 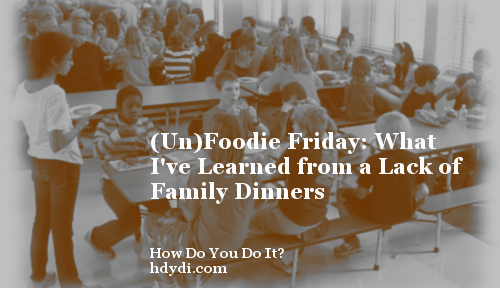 I believe I provided a laundry list of highly unnecessary instructions and then we took a deep breath and we left our children for a few hours that evening. 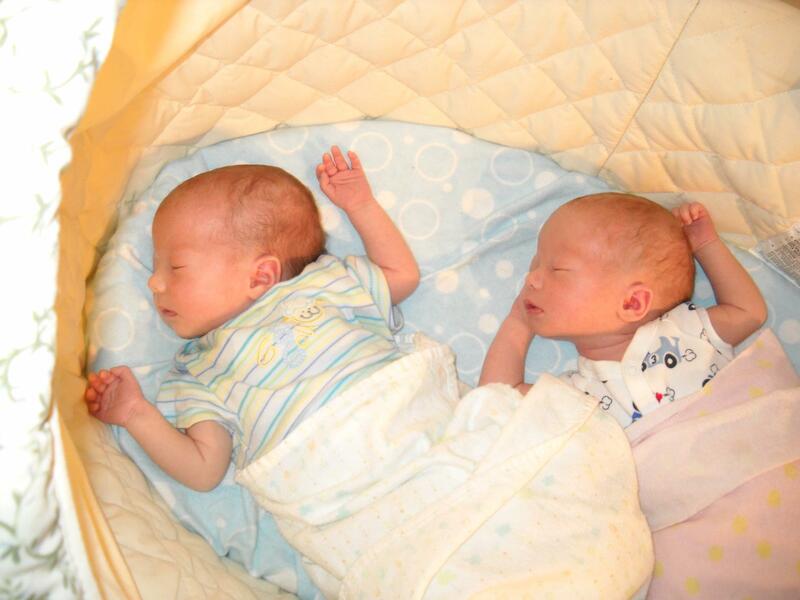 We came home to sleeping twins and our babysitters watching a Storage Wars Marathon on TV – hardly the difficult situation that I had written a novel to prepare them for. The next day we left Molly and Jack in the care of my parents, and a significantly shorter set of “care” instructions, while we went to the service and the visitation (but not before a milk pumping pit stop). 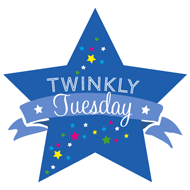 We knew that we’d be leaving the twins under the care of others early on, however we certainly didn’t think that we’d be doing it that soon. We both wish that Great Grandma Hazel had been able to meet Molly and Jack and we are so thankful for the people in our lives who stepped up during our VERY early days of parenthood. When we interviewed our sitters and left Molly and Jack alone as intended that fall, it was just a little bit easier knowing that we had done it before. We still have two of our original babysitters who have cared for Molly and Jack since they were just a month old and nowadays they look forward to their time with their sitters just as much as we enjoy getting out for a date. 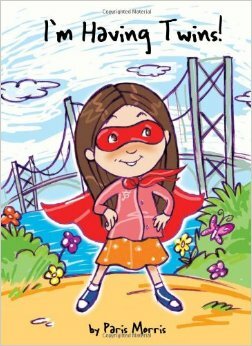 To view a post I wrote on my personal blog on interview questions to ask a potential babysitter click here. I work in IT and spend my day at a desk. Like many people, I have to exercise for both physical and mental health. I’m not an athlete by any stretch of the imagination. Without an effort to get myself moving, I wouldn’t get any exercise beyond that provided by housework and playing with the kids. 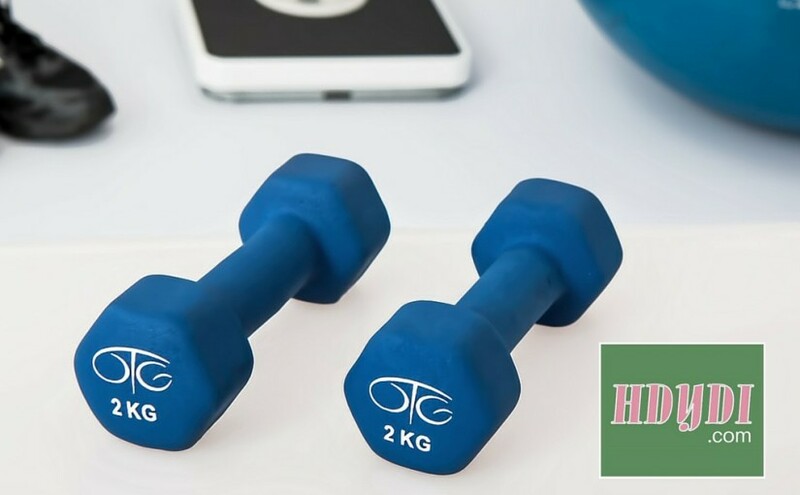 Structured exercise classes are what work best for me. When my kids were younger, I was reasonably good at using exercise DVDs to keep myself moving, but I’ve since become a member at a local gym. At a bare minimum, I make it to Saturday morning full-body weight class. In a great week, I might attend 4 workout classes spread over 3 days. When I had infants and toddlers, it didn’t even occur to me that going to a gym was an option. The gym at work didn’t provide childcare and it never occurred to me that other gyms might. I was pleasantly surprised that the local gym had dropoff childcare for children of all ages, included in the base membership price. I haven’t seen the infant room, but I’ve really liked the indoor playscape made available to younger children and the video games, air hockey, and craft centres in the room for older kids. In addition to having plenty to do while I’m exercising, my daughters are also learning that it’s important for adult women to take care of our bodies and health. I’m sure they see how much my energy suffers on the rare week that we have to skip a gym visit. They’re such active children now, but I hope the example of mommy’s workout will stay with them if they pursue more sedentary careers in the future. Handing our children over to someone else’s care, especially when it’s for a full work day, is no small thing. Ideally, we want care providers to be our partners in raising our kids. 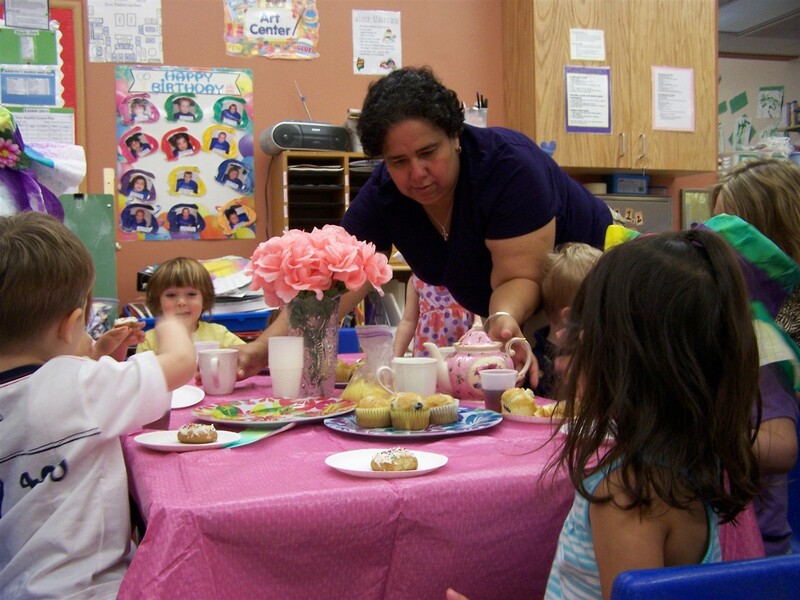 A great childcare provider doesn’t just make sure that children are safe, fed and clean. She also nurtures children’s curiosity, character, and overall development. He communicates with parents about what he has observed during the day and honours parents’ desires and wishes for the care of each child. 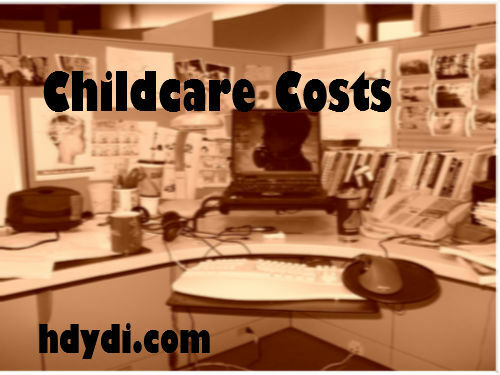 Childcare providers don’t earn much, especially given the pricelessness of the duties we entrust them with. At the same time, childcare is incredibly expensive. It constitutes a huge proportion of a two-income or single parent budget, especially for young parents at the beginnings of their careers. Unfortunately, we have no magical solution to make childcare affordable, although we can tell you what we did to make ends meet and why we decided to invest in childcare. In this post, Sara and Sadia try to present the realities of childcare costs in the US and Canada, since we were both shocked by the sticker price and its impact on our lifestyles. When my daughters started public school, it felt like I got an enormous raise. Daycare got cheaper as our girls got older–prices tend to decrease by $10-20 per month per child per year of age–but the first year was a massive shock to the bank account. 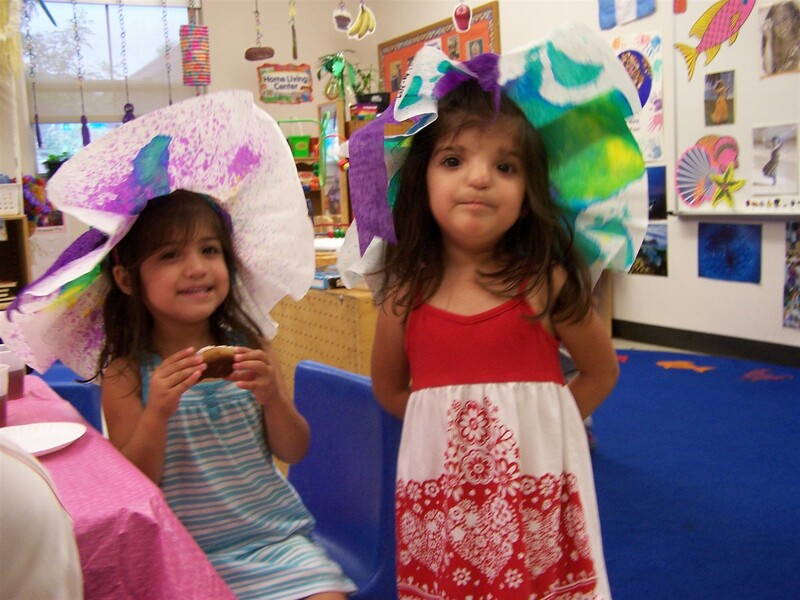 Two infant tuitions in the Austin suburbs came out to US$1650 a month, more than our mortgage. That was 7 years ago, so prices have gone up since. The US$1500+ didn’t include add-on options that became available at age 3, such as soccer lessons, gymnastics time, computer classes and Spanish activities. I honestly don’t know how I would have made ends meet had I not still been married. We needed both incomes. 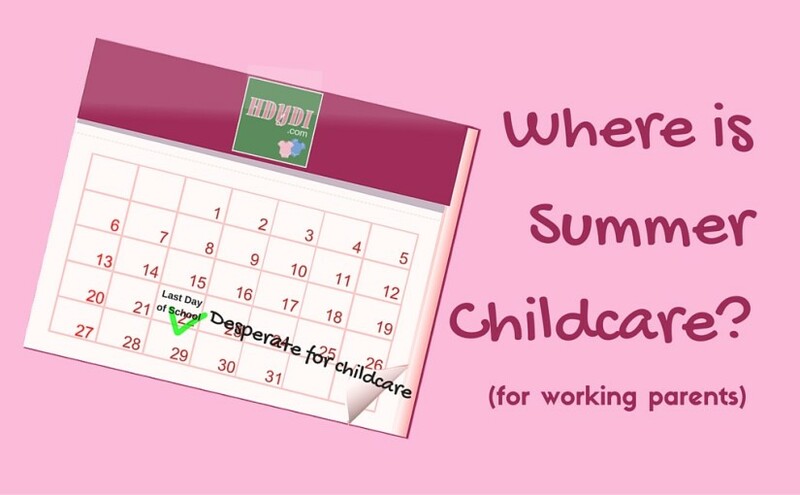 Full day summer childcare prices for elementary-aged children are comparable to that of infant care, and I confess that this summer was financially challenging on just my income and the child support payment that my ex-husband provides. I really couldn’t have done it without the promotions and raises I’ve earned since my daughters were born. The irony is that we had researched childcare options and costs. It was only after we decided that we were at a point at which we could afford daycare that we attempted to get pregnant. We just hadn’t budgeted for twins. The care my kids received was worth every penny. I hadn’t realized going into it that childcare would be our family’s largest expense, but in retrospect it makes sense. Hiring the right childcare provider is an investment in my children’s future, not just their professional success, but also in their personal successes and sense of self. We got back a lot more than we paid for: lifelong friendship and mentoring, people with a real stake in my daughters’ development, and a healthy, happy, wholesome start. A couple of weeks ago, my 7-year-old daughter J had a theological question she didn’t feel that I was answering adequately, so she sought one of the staff members from her old daycare to discuss her concerns with her. What saddens me is how little childcare providers are paid. I don’t know whether it was the financial structure of our program alone or whether this is typical, but I learned from one of the assistants I hired occasionally for evening babysitting that she earned less than $10 per hour caring for my children in her regular job. She was assisting 20 hours a week in the infant room at a program that was open from 6:30 am to 6:00 pm. In short, the people caring for my children wouldn’t have been able to afford to put their own kids in the program. By the end of 2013 we will have spent over 30K in daycare for our 2-year-old twins, also significantly more expensive than our mortgage. When we were expecting we saved up money to help supplement my 13 months at home with Molly and Jack, (luckily Canadian benefits granted me 50 weeks of paid leave at C$501 a week and I used paid vacation for the remaining month). What we didn’t expect was to be living on an even tighter budget once I went back to work. When you combine the immense daycare fees, cost of transportation to and from work, along with business clothes, some weeks it often feels that I’m quite literally working for very little money. On days when the washer has broken and you are about to tear out your hair in frustration it helps to think big picture. This is the most expensive time of our life (until we have two children in college 15 years from now), we just need to grit our teeth and count the days until full day kindergarten – 700! (but we’re not keeping track). I never considered being a stay-at-home mom. For a few months, we toyed around with the idea of my now ex-husband being a SAHD, but that wasn’t for him either. For him, his military career is more than a job, although he is loathe to admit it. Serving others through his army service is my ex’s calling, and he’s really good at it. He would have never been able to live with himself if others were fighting and dying in Iraq and Afghanistan while he changed diapers. I have an intense personality and my extroversion is off the charts. Even during the 8 weeks between my daughters’ release from the NICU and my returning to work, we were out and about all the time. With my husband away on training, and later on deployment, it was just me and the babies in the house. I needed adult contact, adult conversation, and adult challenges. I wanted to be able to be the best mother I could be. For me, that involves finding fulfillment and challenges outside my children. Having my own intellectual and social needs fulfilled by my job, I can focus on being for my children what they need me to be. Perhaps the scars of my turbulent relationship with my mother have made me this way. I just don’t want my children to ever be burdened by my needing them for fulfillment. They should be free to explore their own lives, not spend their time validating mine. There was also a financial aspect to my returning to work, although money never mattered enough to us for that to be a primary consideration. Enlisted soldiers in the US army don’t earn a whole lot. I was the primary earner in our family, thanks to a higher level of education (my MA to his high school diploma) and my job in software. I love my children immensely, and with costs considered we seriously thought about one of us staying home for a few years to be with the kids, but when I took up a part-time contract with my work during the last six months of my maternity leave I remember how much I missed my day job. I missed my connection to the outside world, my former self and my career aspirations. 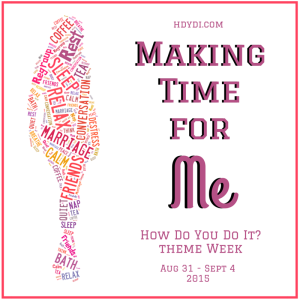 Part-time work would have been an ideal balance for home/work life, but living in a big city, with little to no part-time daycare options and having a job I love this was not a feasible option for my husband or I. When I returned to work full-time although their were struggles, especially related to illness in the first six months, I was more focused when I spent time with my kids. I wanted to read the extra story at bed time and I wanted to build Lego towers with my kids because time was limited I made sure to make it quality time over quantity time. We cut our non-childcare expenses to the bone. We cancelled our landline telephone and used our cell phones only, with no data plans. We cooked all our food at home and packed our lunches; we couldn’t afford to eat out. My ex sold his beloved gas-guzzling 1968 Cougar and bought a more practical car. I worked through the night while breastfeeding to make up the time I missed at work when the babies were sick. While our neighbours hired cleaning ladies, we didn’t. We didn’t have cable TV, go to the movies or go shopping beyond groceries and clothes for our growing babies. My employer provides an option to set up a dependent care flexible saving account. In essence, my employer sets aside US$5000 of my income to be spent on daycare before calculating my income tax. This has the effect of putting me in a lower income bracket for the purposes of income tax, reducing my tax burden. As I spend on daycare through the fiscal year, I send in receipts to prove where that money has gone, and the FSA management company reimburses me from the money that was already pulled out of my paycheck. Financially we had to make some cuts to our cell phone services, cable and other frills so we could make it work. We also sold a bunch of items we didn’t need any more to help with the initial pinch. Big hurdles were when the kids got sick and we needed to make other arrangements during the day. Having family members as emergency back-up, flex-time at work or sitters who you can call in a pinch (at an added expense unfortunately) helped us survive. Knowing that there was an end date and having supportive people around us made the adjustment possible, I don’t know what we would have done otherwise. There are programs out there intended to help reduce the financial pressures of childcare. There are tax rebates and assistance programs, although the latter involve huge amounts of red tape and often have internally inconsistent rules. Centre-based care isn’t the only option. In-home childcare can be cheaper than centre-based case, but you’re dependent on the availability of a single person. You might be able to barter for care, providing your care provider a place to live and having her “pay” her rent in childcare hours. If you have family nearby, perhaps you can get free or greatly reduced care from them. There’s the most obvious answer, one which many of us MoMs have chosen: one parent stays home and makes a non-paying career of being his or her own childcare provider. That comes with its own financial challenges, particularly if you were accustomed to living on two incomes. We’re not experts here, just two moms who’ve felt the pinch. Please tell us how you address the issue of childcare costs for your family. Childcare for twinfants can easily cost more than your mortgage. We don’t have any straightforward solutions that will work for all families, but many of The Moms have talked about childcare expenses and the different available options, over the years. Check out these posts. 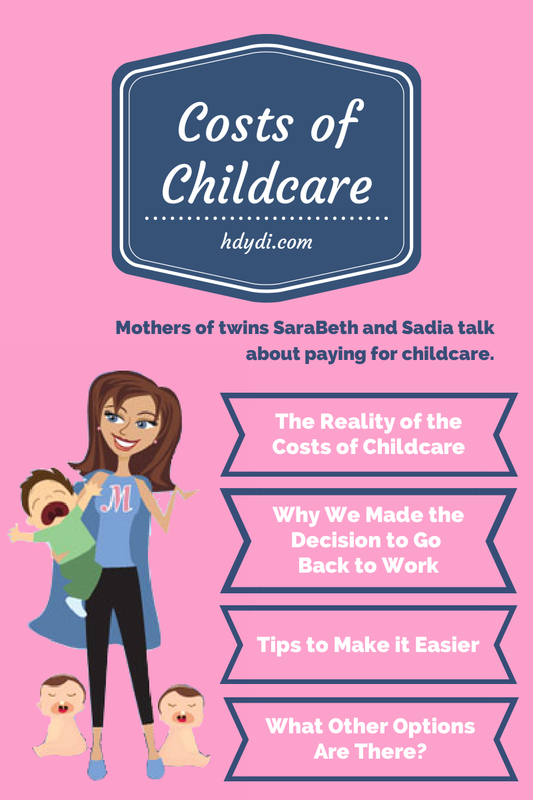 Childcare Costs: Sadia and SaraBeth talk about what they’ve spent on childcare and how they adjusted their lifestyles to pay for it. Sit or Stand – Money Saving Solutions to Babysitting: SaraBeth presents a number of creative ways to make short-term childcare less painful to the bottom line. Guest Post: Au Pair: Guest poster Dana sings the praises of an au pair as her family’s childcare solution. Our Reality-Show Worthy Childcare Journey. So Far: Rachel‘s adventures in her childcare search are nothing short of epic. 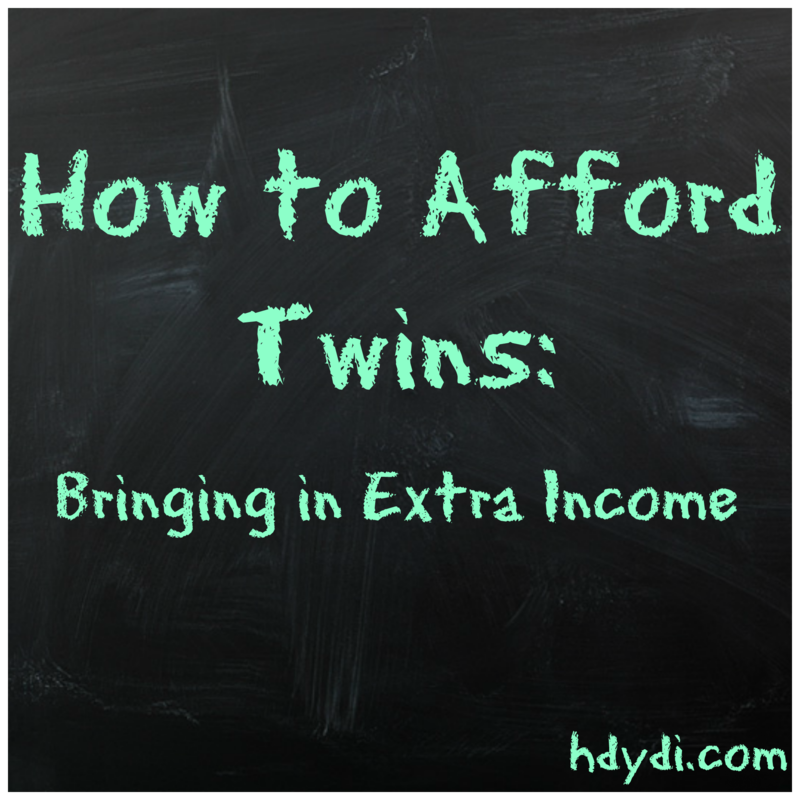 Can Moms of Multiples Have It All?!? Katie‘s thinking about going back to work and wondering how it will work. And yes, childcare costs figure into her worries. The Stay-at-Home Dad: Brian guest posts about being the stay-at-home parent. Ask the Moms: To Work or Not to Work: Goddess in Progress discusses the pros and cons of paid employment and full-time SAHM mothering. 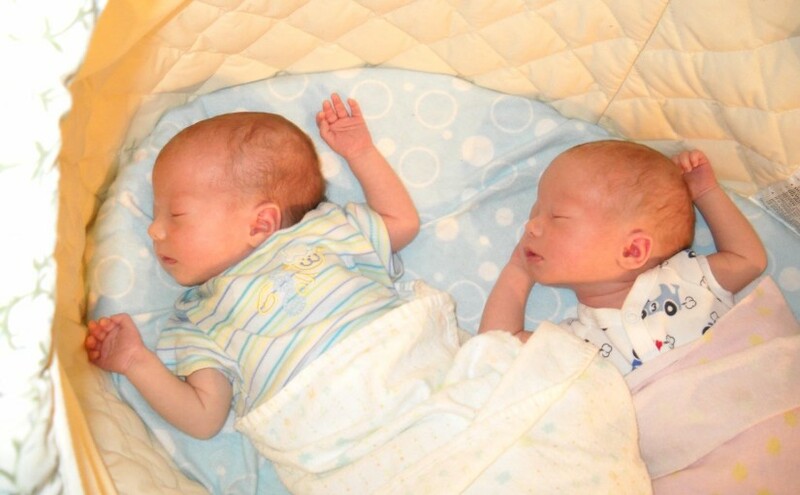 There Are Two Things in Life for Which We Are Never Truly Prepared: Twins: One of the things theamericanwife worried about on learning that she was expecting twins was the cost of daycare. Tell us about the childcare solution that has worked for your family. Not everyone can qualify to donate plasma, and not everyone should or will want to (I have personally never done this), but if money is tight you might want to consider donating plasma. You can help others and make a good chunk of change for going regularly. It can be $15-35 per visit, or more. To learn more check out donatingplasma.org and find a center near you. Ebay, Craigslist, consignment shops, the newspaper, pawn shops, and yard sales are all ways you can sell things you already have and make some extra money. As a mother of multiples, you already know how to do crowd control, so what’s one or two more kids around the house? And an extra playmate for your kids might actually give you a break. Look into watching a friend’s children, or a neighbor’s child, or check local listings in papers, craigslist, and on sites like sittercity.com. There are dozens of childcare websites out there, and lots of people looking to find affordable childcare, that perhaps you can help fill. While I once looked into doing this, the thought of watching someone else’s child for 40+ hours a week, on top of my own, felt super overwhelming. Know your limits, and know how many hours a week you’d be able to offer childcare in your home, and what to charge. There are still several companies out there that still sell their goods through an in-home sales consultant. Some of these companies are Avon, Mary Kay, Tupperware, Thirty One, and Lia Sophia. So, if you love make-up, jewelry, kitchen appliances, storage containers, or purses, you may want to think about reaping the rewards monetarily from your love affairs. Were you a brainiac in school? Did you excel in a certain field? Do you do a craft or have a skill that could be shared with others? Then think about teaching or tutoring. Whether a cake decorating class, keyboarding 101, Zumba, math, or piano lessons, there is probably a need out there for you to fill. You can try offering your services through places like craigslist.org and your local newspaper. There are numerous tutoring websites and networks out there for you to apply to be a tutor on. You can check with local craft stores, gyms, libraries, and even nursing homes to see if they would pay for you to teach a class. Did you know you can be rewarded for searching the internet? Yes, just for doing regular searches in a specific search engine can mean a little extra cash! I have used swagbucks for probably two years now. You can download their search toolbar and make them your default search engine. Swagbucks doesn’t reward a set amount per search, and is a bit hit and miss, but typically awards 6-10 points at a time. Points or swagbucks can be redeemed for an array of different gift cards and other rewards. I most often cash out at just 450 points for a $5 Amazon gift card. They also offer tons of other ways of accumulating points as well, like 10 points for using a coupon printed from their site. Another search engine you can do this with is Bing. Bing Rewards also allows you collect points for using their search engine which can be used to cash in on gift cards and other prizes. Honestly, I haven’t used this very much at all, but I think I may start. Bing is a much more powerful search engine than the growingly popular Swagbucks website. My husband, for instance, hates using swagbucks to search for things because he doesn’t like that results he gets. Also, earning is simple with Bing. You earn 1 credit per 2 Bing searches, up to 15 credits a day. If you got 15 credits a day, it would only take you 35 days to cash in a $5 amazon gift card. Whatever you prefer, it is a simple way to earn without having to spend any extra time. You’re going to do internet searches anyways! This is one of my very favorite ways to bring in a little extra money. I feel like I win the lottery each time I do it because I save even more on my bargain hunting online. There are many cash back online shopping sites, and I use three different ones. Why three? Because sometimes one will have a better deal at the moment than another and not all websites have contracts with all of them. And ShopAtHome.com will do 110% Price Match Guarantee (which I have used numerous times). The three I use are ShopAtHome.com, Ebates, and Upromise. Upromise – The Smart Way to Save for College is a free service, and by adding your credit, debit, or grocery card means that you can begin saving money for college every time you shop at participating retailers. However, you can always just cash it out too. Upromise offers 5% cash back or more on just about all of their online retailers. Not all online retailers (like Amazon) are connected to these cash back websites, or only offer cash back on certain purchases. Always make sure the check the fine print. So, before you buy something online again, STOP, and shop through one of these sites! It’ll be like getting the tax back on your purchases! Do you love to cook? To bake? Then maybe you should think about doing it to make a little extra income. Cupcakes and specialty cakes seem to be all the rage. 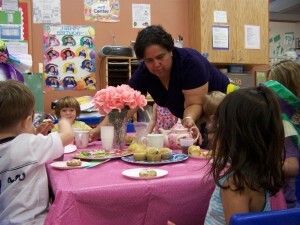 Offer your services to friends and neighbors who will be having a themed birthday party soon or online. Are you an artist or a photographer? Think about offering your services and creations to others. There are lots of local venues and markets for artists to share and sell their goods, as well as bigger art fairs. You can take requests and do commissions, a guaranteed way to make money. Or, create several works and take them to a fair or art show and try to sell them. Or think about opening an etsy shop with prints of your works. Do you have a crafty hobby? Do you already spend time creating? Then you might want to think about starting your own business via etsy. Etsy is a great place for creative people who also know how to operate a small business. I have known many people to be very successful etsy sellers. It isn’t for everyone, as it is indeed a business and can be time-consuming and expensive to start up in the beginning, but can be very fun and rewarding! Everyone is passionate about something. And sometimes that passion can be profitable. If you love writing, social networking, websites, and graphic design, you may want to think about trying to make money from blogging. There is never a guarantee return with blogging, especially as more and more blogs start every single day, but there are tons of resources out there to help you try. Also, the more focused your niche (your hometown, animal photography, Atkins dieting, whatever) the more likely you can be successful. 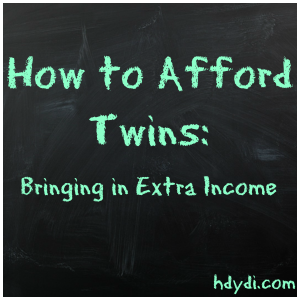 What have you done to bring in extra income to afford your twins (or triplets)? My daughters attend a YMCA after school program located at their public elementary school. At the end of the school day, when the other kids rush off to their parents, my girls and their friends head over to the school cafeteria to check into after school care. Well, this year, their teacher often lets them help around the classroom with her daughter, M’s best friend, so my twins can avoid the check-in chaos in the cafeteria. New this year, they’ve started offering children dinner at 5:30. The kids who are still there are fed food from the next day’s school lunch. It’s a win-win situation. The school’s food doesn’t go to waste and the after school kids don’t get crabby from hunger. When I picked up J and M on their first day of second grade, I was surprised to learn that they had already eaten. Part of me was sad that we wouldn’t have our family dinner together. The lack of family dinner went against one of my core parenting philosophies. 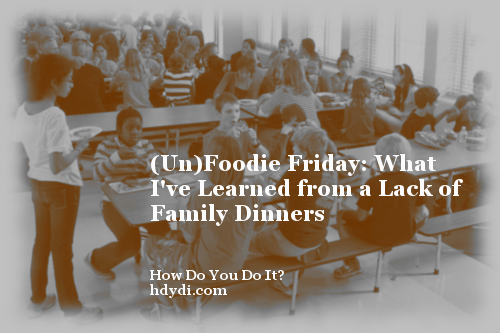 I was miffed not to have the opportunity to assure my children a homemade meal in which every ingredient was high quality and nutritious. It took me less than a week to fall in love with dinner at the Y. We suddenly have an extra hour or more together in the evenings. 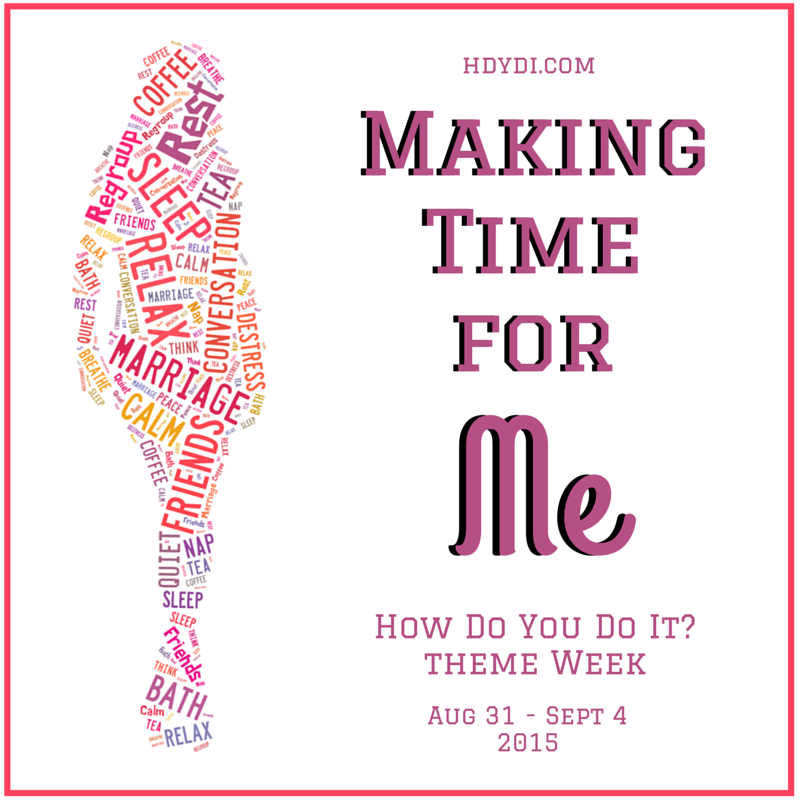 Instead of a mad rush to make and eat dinner, check homework, and get ready for bed between 6:30 and 8:30, we have time to talk and play between the homework check and bedtime routine. Instead of hungry, grumpy kids who haven’t had a meal in nearly 7 hours, I have happy, energetic little girls bursting with news from their day. We get home and there’s no sense of urgency. Once the girls put their backpacks away, our time is our own. One night this week, J sat down with her knitting and phoned her grandmother while M and I read, snuggled up on the couch. Another evening, M entertained us with a high energy 45-minute rendition of Feliz Navidad, switching between a hairbrush and a remote control for her microphone and her sister’s head and mine for percussion. Last night, M spent an hour telling me, in great detail, all about her PE lesson, while J played with our cats, drew ducks and swans, and worked on some optional math homework. I can’t remember the last time M told a complete story on a weekday, in her own way without me trying to rush her along. There’s been a lot more laughter in our house since the school year began. There’s been a lot more singing and dancing on weeknights. My house is cleaner than it’s been in a long time; I can fold laundry and dust while I’m talking to my daughters. I now wait until they’re in bed to eat my own dinner. Providing excellent nutrition to my children has always been high on my list of priorities, but I’m now reevaluating those priorities. Nutrition is important, of course, but the school lunches aren’t awful. Yes, they’re mass produced and include some processed foods, but there’s a large number of dishes produced from scratch, and they, like me, include a whole grain, protein and vegetable in every meal. Far more valuable is the time I spend with my kids, and spending it over food didn’t work nearly as well for us. I say good riddance to weeknight family dinners, and welcome weeknight family time.